McALLEN — Bonnie and Clyde they are not. A week after a couple attempted to steal thousands of dollars from a McAllen bank, public records are shining a light on the would-be robbers. The duo face second-degree felony robbery charges related to a bank robbery in mid-May where they tried to get away with more than $5,000. 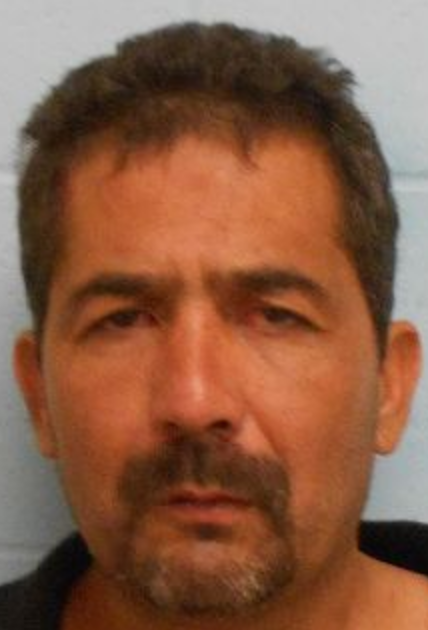 Police said that Gilberto Lopez Salinas walked into the IBC Bank in the 3600 block of North 10th Street on Monday May 15 and handed a note to the teller demanding that she give him “all the money now,” according to police records. Outside, sitting inside an older model silver S550 Mercedes Benz, his alleged accomplice, Elida Martha Decker Campos, 37, a former counselor and probation officer for the county, waited for her partner. At about 9:30 a.m. officers responded to an alarm at the bank, but by the time they arrived, the suspects had fled the area, the criminal complaint states. Inside, the bank teller who gave the money to Lopez told officers she handed him $5,130 in cash, with $250 of it being traceable currency. Police also recovered surveillance video of the robbery, the complaint states. About 25 minutes later, less than five miles away from the bank, and after an all points bulletin had been requested, Pharr police officers responded to a single-car crash near the 1200 block of East Interstate 2/Expressway 83, where they encountered a unique scene. The cause of the crash was not mentioned in the police report. After McAllen police officers arrived at the crash scene, they noticed money strewn about the car and in the possession of the occupants of the Mercedes, the complaint states. “Pharr police officers advised they had also noticed several (dollar) bills on the floorboard of the Mercedes Benz,” the criminal complaint states. Lopez, who was eventually detained and was found with a red bandana in his front right pocket, did not provide a statement to officers. “Mr. Lopez, who matched the clothing and physical description from the robbery, was detained; officers noticed he had several $1 bills coming out of his left pant leg,” the complaint states. Police also placed Decker, who carried a large brown purse, in custody. “Officers detained Decker after noticing several (dollar) bills and money bill straps in her purse,” according to the complaint. During questioning Decker waived her rights and admitted to her role in the bank robbery, the criminal complaint reads. Lopez, no stranger to the inside of jail cell, has been arrested countless times since 1988, according to jail records. His arrests have included possession of various illicit drugs, burglary of a vehicle, theft, attempted murder and driving while intoxicated, to name a few. In September of last year, sheriff’s deputies arrested Lopez on suspicion of DWI, jail records show. Most recently, the 46-year-old man pleaded guilty in March to assault causing serious bodily injury and was sentenced to 90 days in jail. That sentence was suspended with the agreement that Lopez attend anger management classes, submit to random drug tests, including six months of probation afterward, court records show. 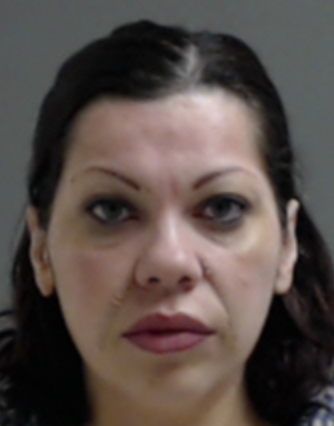 Decker, who according to her own LinkedIn account, had been an Hidalgo County probation officer and counselor since August 2006, was arrested twice in 2016, each time for allegedly driving while intoxicated, court records show. An employee who answered the call at the county’s adult probation department said Decker has not been employed with them for more than a year. Roger Arredondo, deputy director of the adult probation department, said Decker left last March or April, but did not know under what circumstance or for what reasons she left. Decker’s first DWI arrest came in April, according to court records. Decker, who continues to hold a state-issued counselor’s license through March 2018 when it is set to expire, received a master’s in clinical psychology in 2010 from University of Texas-Pan American, is due back in court for those separate DWI cases on June 14, court records show. If convicted of the bank robbery charge, a second-degree felony, the pair faces between two and 20 years in prison.